Minister for Youth and Sports Laisenia Tuitubou. 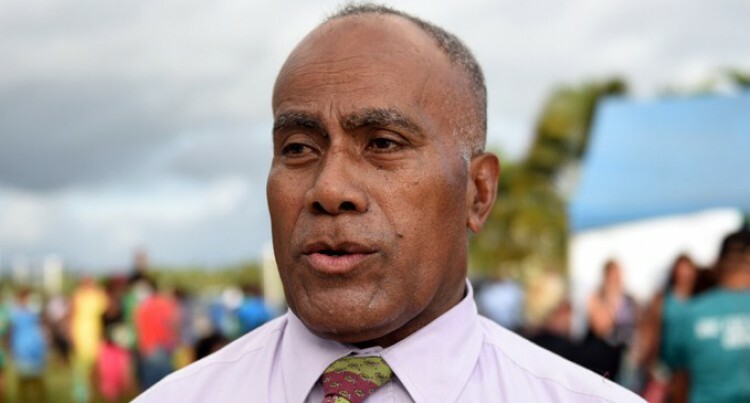 The following is the Minister for Youth and Sports Laisenia Tuitubou’s address to Taci villagers, Noco, Rewa yesterday during the handover of a poultry farm from the Chinese Government which gave the funding for the project. Bula vinaka, Namaste, Salaam Aleikum and a very good morning to you all. It is indeed an honour to be here this morning to be part of this handing over. Today’s event is a testament of our continued relations with the Government of the People’s Republic of China. I must acknowledge the presence of His Excellency Ambassador Zhang Ping and officials from the Chinese Embassy. The Ministry of Youth and Sports and Fijian youths acknowledge your contributions towards youth development and other major developments throughout Fiji. The central role of young people in development should be acknowledged and promoted through the creation of enabling environments for youth participation. I again acknowledge and am grateful for the support shown towards young Fijians by the Chinese Government. Young people account for nearly one third of the current global population. Today’s youth generation is the largest cohort of young people ever; 1.2 billion people aged 15 – 24 as confirmed in 2015. UNFPA reported in 2010 that just fewer than 90 per cent of young people live in developing countries and close to half of these young people live in poverty, on less than USD 2 per day. Many countries in the developed world – particularly in Africa, the Middle East and South Asia, are experiencing a ‘youth bulge,’ which is defined as a peak in the share of persons aged 15-24 in the population. In Fiji, youth make up to 40 per cent of our national population. There is now a concerted effort towards providing youths in developing countries quality education, access to health care, gainful employment and maximum participation in economic development through the promotion of entrepreneurship. Their population is expected to increase steadily, so action is needed now to take advantage of the enormous potential generated by these youthful populations around the world. Engaging young people in all forms of development activities is essential to any nation to meet its goals of wealth creation and sustainable activities designed to help communities rise out of poverty. Youth, especially young women, are particularly vulnerable when any nation’s economy is weak and governance is poor, but when they are integrated into society and have opportunities to earn a living, their creativity to produce fresh ideas for a sustainable livelihood, governance and rights to participation, accountability and transparency would become the bedrock of building peace and resilience. Through this assistance by the Chinese Government in partnership with the Ministry of Youth and Sports, youths of Taci village and Noco will be inspired and develop more interests toward meaningful participation to alleviate poverty and create employment and sustainable livelihoods. Such investments help create employment opportunities and also to break the cycle of poverty, not through incomes alone but also through improving social access and inclusion, in turn preventing the emergence of conflict and instability. There are evidences of strong linkages between poverty, lack of opportunities, inadequate education, and violence amongst youth, resulting in a negative cycle that entrenches the disadvantages of marginalised youth. Such investments towards youth development, help young people meet their socio-economic needs, including those for equity, better governance, greater social cohesion, gainful quality education and more income generating opportunities. Government through the Ministry recognises the need to allow young people to maximise their potential for their own and their communities’ benefit and nation building. The Ministry is advocating for the mobilisation of youth labour; maximising their creative and youthful energy towards peace building, growth and development. Investing in young people generates significant social and economic returns. This investment towards Taci Youth Club hopes to improve the lives of young people, their families and their community. The Ministry anticipates hearing of its success and how it will impact your lives and the community. I again thank the Chinese Embassy, Chinese Ambassador His Excellency Zhang Ping and everyone that made this project materialise. I wish the Taci Youth Club well in the business venture and look forward to seeing its growth and success.